I bought this crib for my first child. I immediately liked the design and look of the crib and matching bedroom set. It had a very sleek look and I felt it was something that he could grow into as he matures. I choose the dark wood color. It was very rich looking. The biggest selling point that I was able to convert the bed into a toddler bed and then a full size bed. What a wonderful feature. Not only was it convenient, but also a great way to save money. The full size bed is quite large and can easily fit two people. Unfortunately, the quality of the wood was not what I had expected. There was alot of wear and tear. The wood did not polish up well. I could not get a nice clean polish and would have to really wipe hard to remove finger print marks. It also nicked quite easily. Overall I was not happy with the quality. However, my sister-in-law and friend bought the Babia Italia convertible crib and they were both very happy with it. Perhaps I got a "lemon"
For my first child I got a convertible crib and when it came to my second child I also wanted to get a convertible crib. I picked this crib for several reason. One of the main reasons was the appearance. I thought it had details in the woodwork that gave it a richer appearance. The color of the floor crib color matched exactly the same as the crib that I purchased. I love the fact that I never have to purchase another bed, just need to get additional rails and new mattress. There is some wear and tear on the wood work but nothing more than what I would expect from kids using. 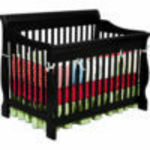 The crib was extremely easy to out together and it is easy to adjust the mattress height. The only negative was the baby's mobile didn't fit correctly on the side rails because they are on an incline and it just didn't fit correctly. I now just had my third baby and she is now using this crib and it is still in excellent condition. I looked everywhere before deciding on a crib for my daughter. Online, in stores, I wanted to find something that was beautiful and of course safe for my little one. When I came across this, I just knew it was the one! It is absolutely gorgeous! The picture really doesn't do it justice. 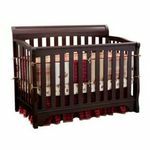 I ordered mine in the cherry wood color to match her changing table and tower I had already bought. This was very simple to put together, I am very dumb when it comes to assembling things, but even I was able to assemble this crib. It only took maybe 45 minutes, but do take into consideration I was eight months pregnant, and have only ever assembled a few pieces of furniture. 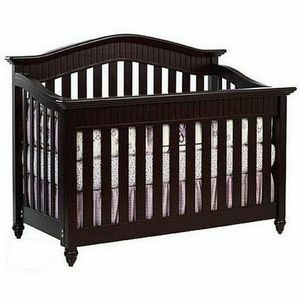 It is more expensive than a lot of other baby cribs, but it is well worth the money, it's absolutely beautiful. All in all I would definitely make the purchase again without any regrets, it is a wonderful crib in all aspects. I most positively love my baby boys new bed I have had to but cribs before and this one surpasses them all. I was a little on the rough side to read the directions to put it together because all thee were was the drawings but as soon as I mastered it. The assembling part was hands down the easiest for me, it only took myself to put it together with no extra hands, I believe it only took me an hour and half after it was put up an ready to use. 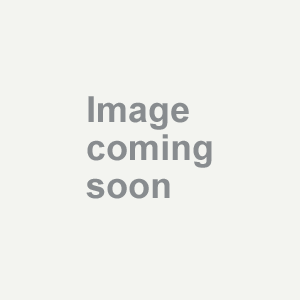 The structure is great it is sound and sturdy an no shaking at all to the bed. I will be comfortable of letting my baby sleep. Plus the whole thought process of the convertible crib is awesome to us with seven children we can't keep going out to purchase new beds all of the time so we choose this brand to help cut down on all of that expense. Our son will be able to grow with his little bed, I have faith in this crib that when we have our grand children will be able to use this crib as well. Hands down if your shopping for a new bed this is the way to go. The Babi Italia Crib has been an awesome piece of furniture. We purchased this crib for our first daughter in the hopes that it would last through all of kids, possibly three. So far we have used it as a crib and toddler bed for our first born. Now it is being used as a crib for our second born. It is incredibly sturdy, it has been moved twice and has no knicks or blemishes in the wood. Nothing has broken or gotten scratched. It is a beautiful color. We have it in cherry. We also have the drawer under it for extra storage. It is light weight and easy to move. It is also easy to adjust the levels of the mattress. I believe it has three or four levels that it can go to. We have moved it down twice now. 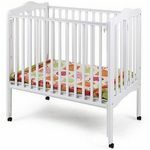 The side goes up and down very easily and when its time to make into a toddler bed, the side comes off easily. I did it myself without my husband. This is a very worthwhile investment into your families future. The Babi Italia Crib is not only a beautiful piece of furniture...but is a safe and sturdy crib for our baby. We purchased the crib after months of research. We love it. It was easy to put together and it is very sturdy. Great wood and construction. The only downside is that the mattress is hard to get out...but that might be a good thing safety wise. It will convert in a few years into my toddler bed, which is a benefit. Love this crib!